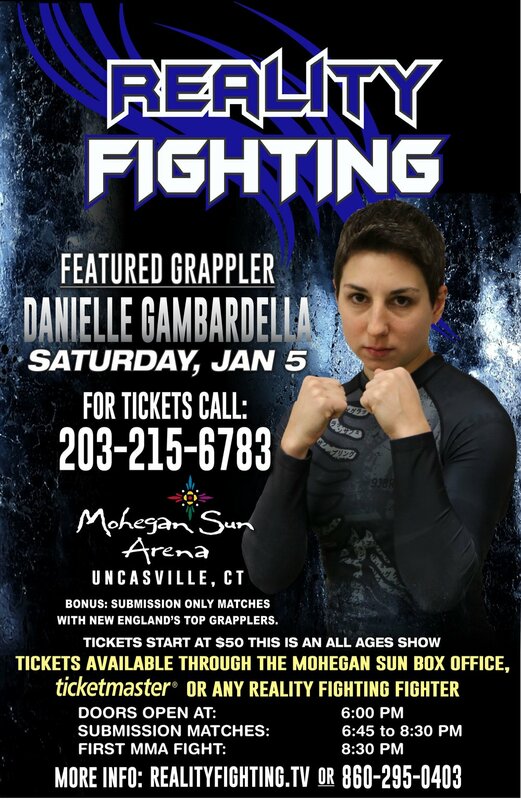 Danielle has a grappling Super Fight as part of January’s Reality Fighting event. If you’re interested in attending, please contact the academy for tickets! You can also show your support by entering offer code “Gambardella” (quotes not included) when purchasing tickets through Ticket Master. See you there!